Concorde Soccer Association (CSA) was founded in 1982 with a handful of boys teams featuring a wealth talent. Coaches from all over the world brought their knowledge and love of the game to Concorde. Players from all around Atlanta responded, resulting in a number of highly competitive teams. In 2001, Concorde introduced an Athena program for girl’s soccer. By again attracting top talent in both coaches and players, our Athena teams immediately began attracting attention. Concorde, long recognized for our superb boy’s teams, is now equally dedicated to the same high level of soccer excellence for girls. The Atlanta Concorde Fire Soccer Club was formed in June 2003 with the merger of two of the Atlanta areas premier leagues, Concorde Soccer Association and The Atlanta Fire. Sending six 2003 state championship teams to the regional finals, the club set the bar for excellence in play. 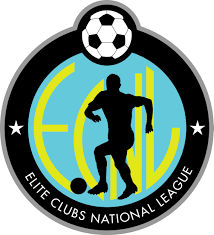 The club now fields nearly 50 Select/Athena teams and recreational teams at all age levels, fielding more than 1000 players in age groups from U6 to U19. Our teams compete in leagues organized by the Georgia Soccer Association under the auspices of the United States Youth Soccer Association. Our home fields are on Ashford-Dunwoody Road at Nancy Creek, next to Marist High School. They are part of a soccer complex that Concorde is developing in partnership with the Cowart Family Ashford-Dunwoody YMCA. We also use fields at Ridgeview Middle School, Ocee Elementary School, and State Bridge Crossing Elementary School, as well as other North Metro Atlanta locations. Concorde Fire is organized in a way to encourage and teach young people in our community to play soccer at the very highest level of their abilities and at the highest level of competition. The ultimate goal is to help the player achieve the highest level of self-satisfaction. Our programs also provide opportunities for parents to appreciate and to show appreciation for the accomplishments of their player regardless of what the level of play. Since 1982, Concorde Fire has had success in many areas of the game of soccer from the early teaching of young people to play the game through the development of teams to be state champions. Concorde Fire strives to achieve excellence through outstanding coaching, outstanding fields, special programs and a competitive spirit. We are proud of the success of each player, each team, each coach, each parent and each friend that contributes to that success.